Only a mad-man would buy wipers from a smart dealer. You can buy perfectly good wipers on Amazon and eBay. Pull the wiper arm away from the screen. 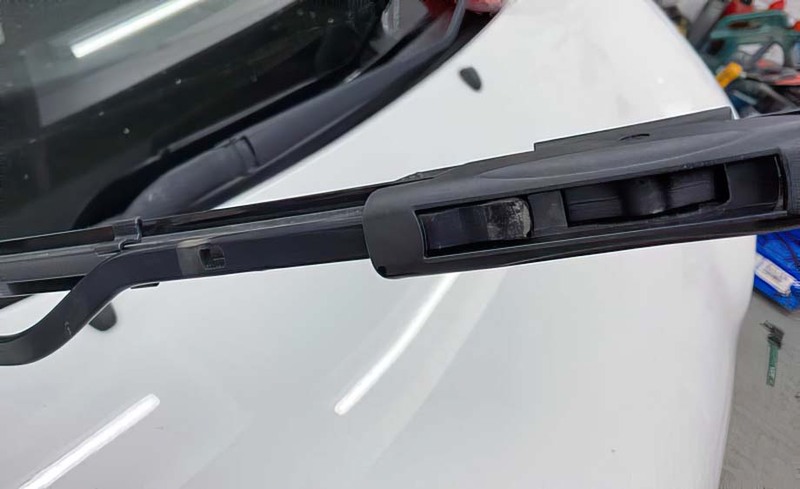 Where the wiper blade attaches to the arm, you'll notice a tab, top and bottom. Push both of these tabs down about 3mm to unseat the clip. 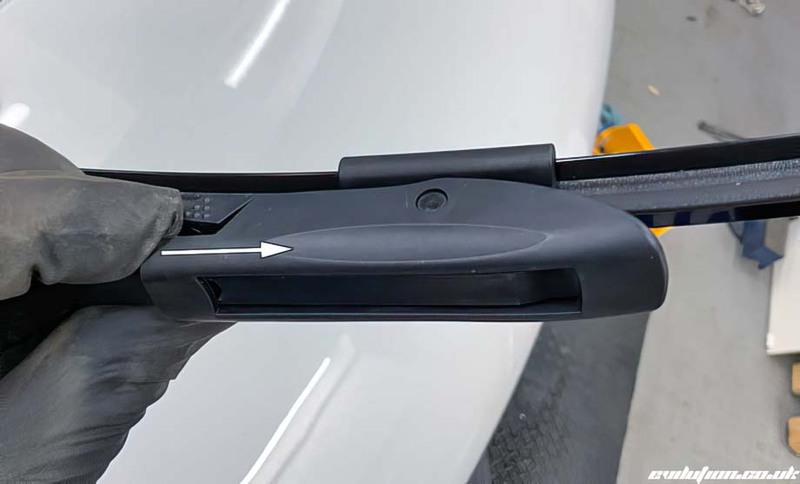 With the tabs pushed down, push the wiper blade off of the end of the wiper arm. It'll just slide all the way off. 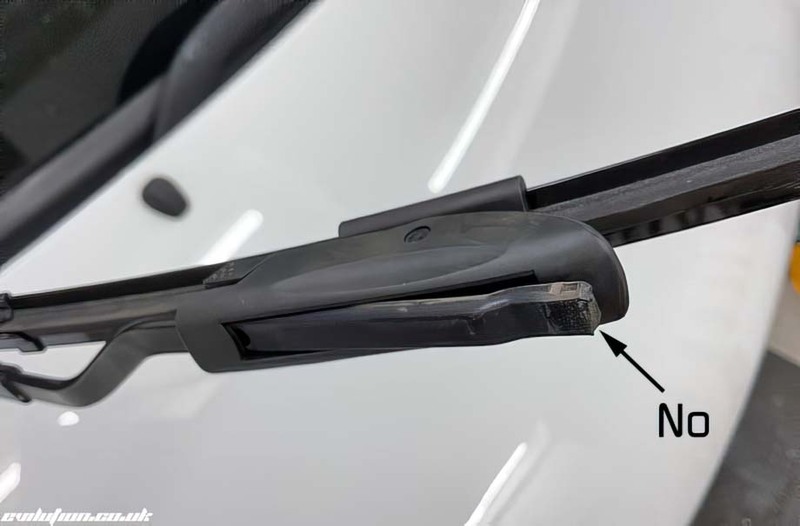 With the wiper blade off you'll be able to see the clip and the associated hole that the clip attaches to. 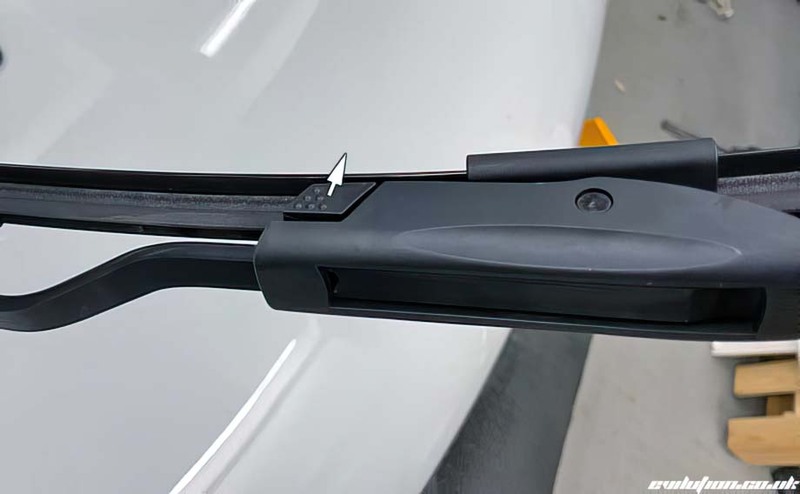 When you slide a new wiper blade onto the arm, make sure the arm slots inside of the blade and not outside. 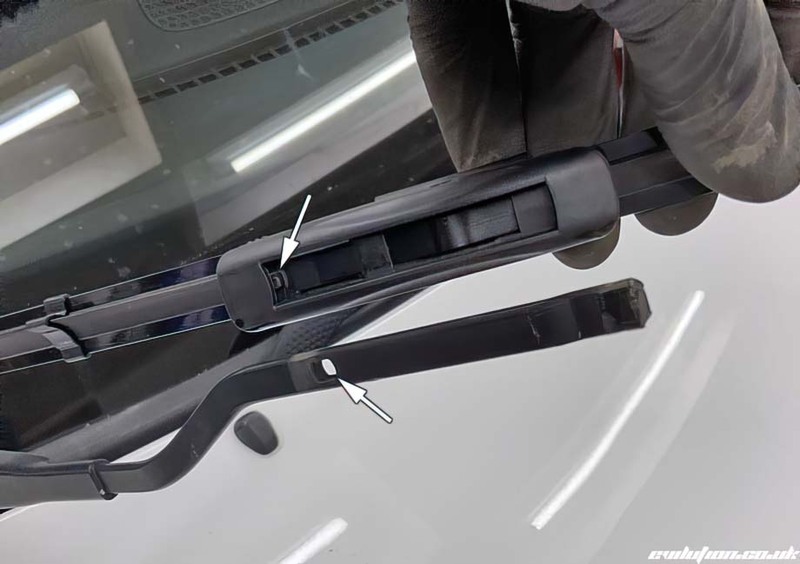 The end of the wiper arm should be encased in the wiper blade housing. 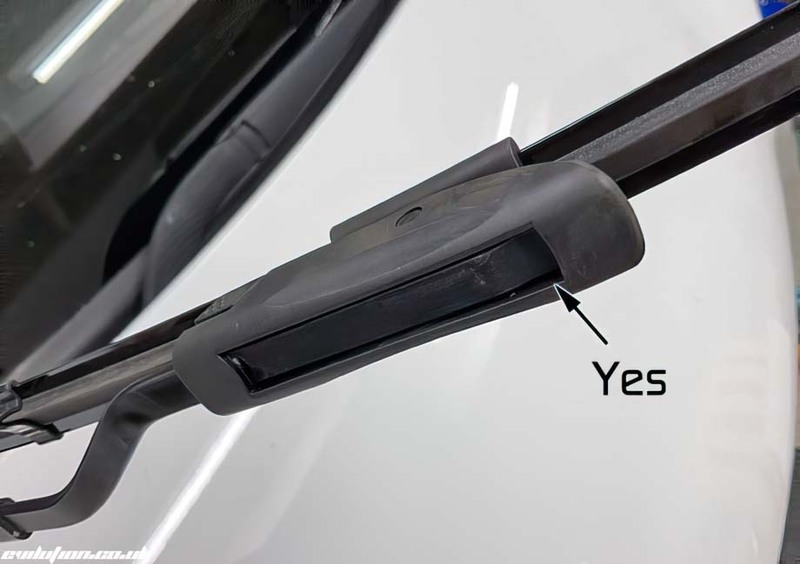 Make sure the wiper blade is clipped in and repeat for the other wiper blade.